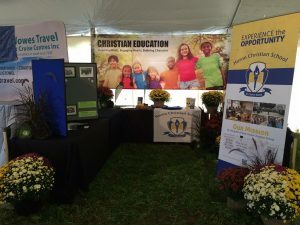 TALLMAN.PROMO’s economy line retractable banners are a great way to showcase your business at the annual tradeshow, or your new product at that big community event. We can place a logo or information on the banner to ensure the message gets across to your audience. These banners can easily be set up and taken down so you can focus on the people that make a difference to your business or community event. Afterwards, it folds down into a handy carrying case. 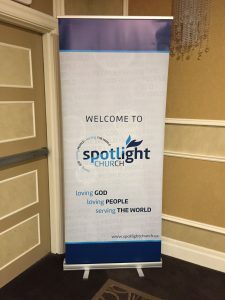 Call us today so we can get started with your retractable banner! 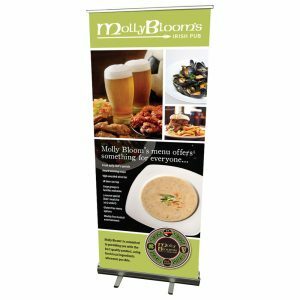 TALLMAN.PROMO economy retractable banners can be set up and taken down hassle free allowing you to focus on what is most important. The lightweight design is easy to set up and move around allowing you to use it in any occasion and attract the attention you envisioned. However, be sure to roll down the banner with care to avoid any other future problems. After you rolled it up, you simply put it back in the carrying case and take it to your next event. The case is small, making it easy to carry around from event to event. 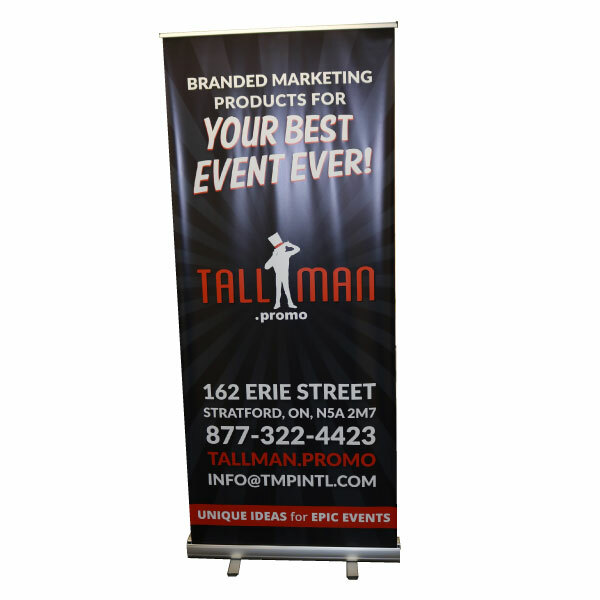 Tallman promotions offers custom design for your economy retractable banner to make sure you get exactly what you are looking for. We offer an unlimited amount of colour options. We can colour match to your exact logo and brand. The economy retractable banner can be made single or double sided giving you the option to make your event setup match your aspirations. Call us today so we can get started with your retractable banner! Retractable banners are printed on 10oz Blockout vinyl. Retractable banner come standard single sided.